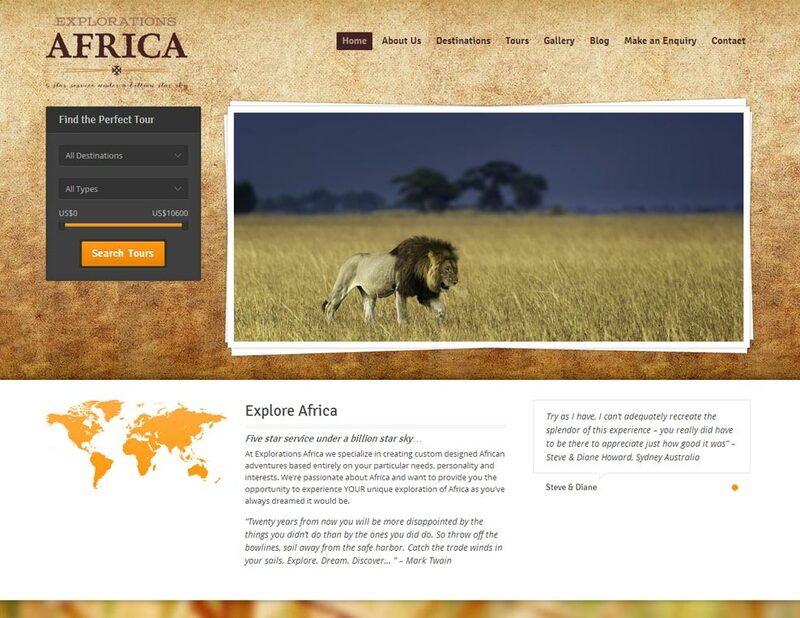 Explorations Africa is a small but passionate Canadian based African Safari tour operator specializing in unique and luxurious custom tour packages primarily to Southern Africa. 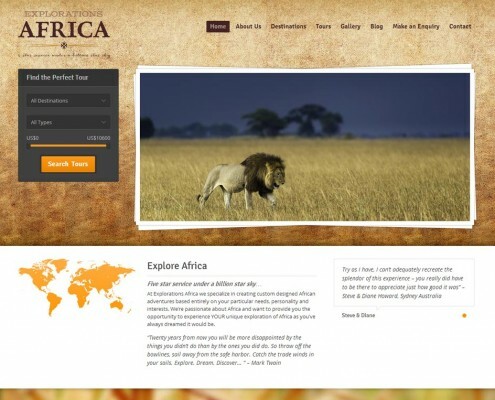 Their brief was clear… build a beautiful website that ties in nicely with their brand, and that showcases their unique safari tours in the most user friendly way possible. They also asked for SEO (Search Engine Optimization) upfront, which is always the best way to go about developing a new website. To ensure the website was easy to navigate and that users can quickly find the specific tour they are looking for, we redesigned the navigation from the ground up. 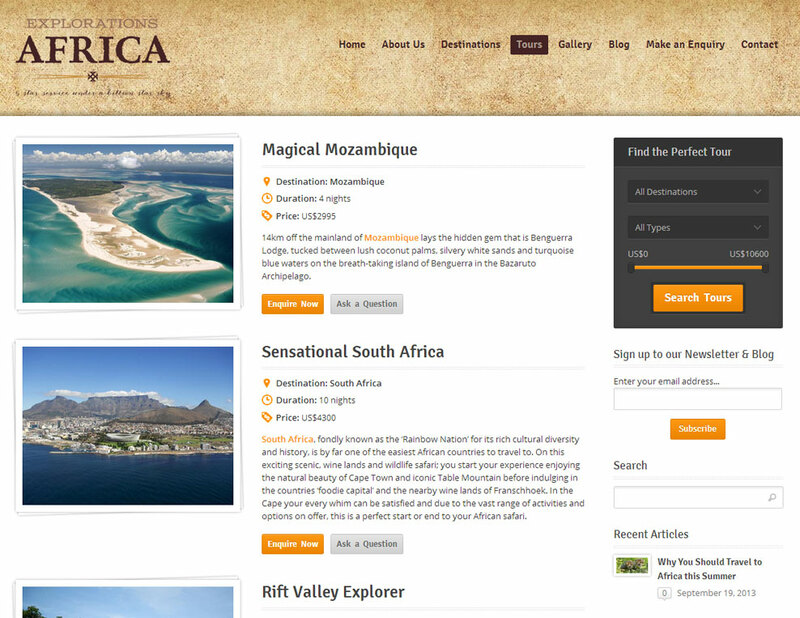 We added a tour search block which allows the user to filter by destination, tour type and price range that is prominently visible on the home page and all other important pages. 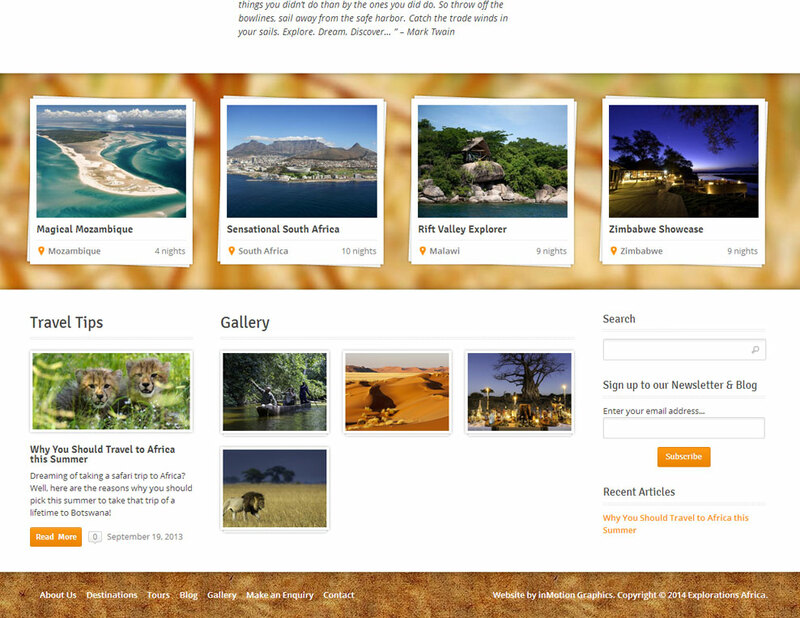 For the tour pages, we wanted these to be rich in multi-media content that would give the user a good idea of what it would be like to visit this destination on a safari tour like this. 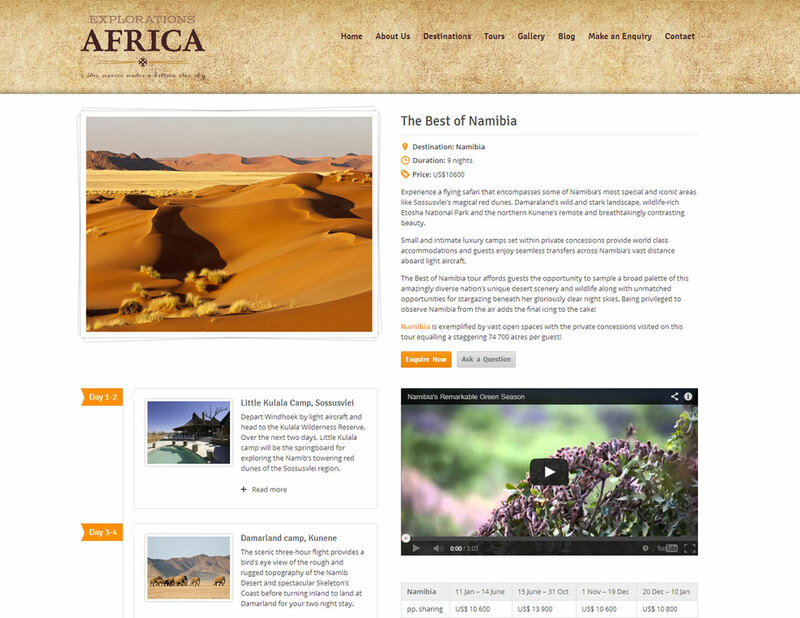 We made use stunning imagery, unique content provided by the client, an interactive daily itinerary and videos. 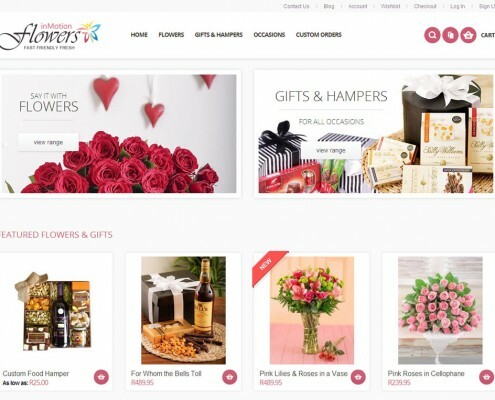 To help increase the conversion rate, we featured call to actions prominently on the tour pages and all other important landing pages that open tour specific AJAX pop up enquiry forms. 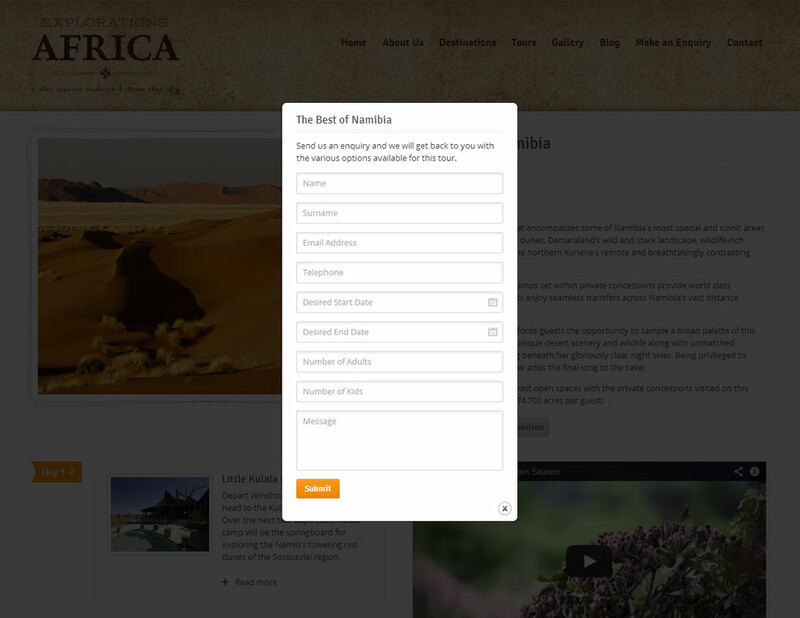 We also added a general enquiry page that we link to from various key landing pages. We baked SEO best practices into the design and development process from the ground up. To improve their SEO and drive traffic to the website, we created country specific landing pages with unique content that leads to all the tours related to each country. 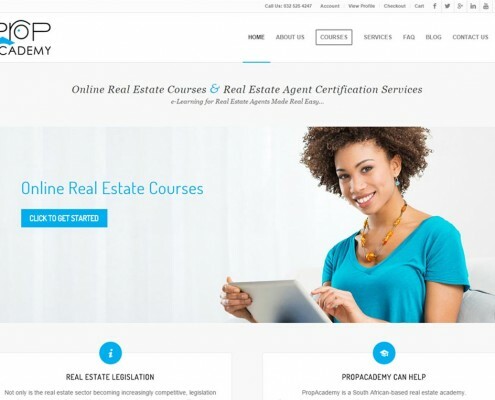 We also added a blog and encouraged our client to post unique and interesting content to help grow their audience and traffic, and to establish themselves as an authority in the industry.